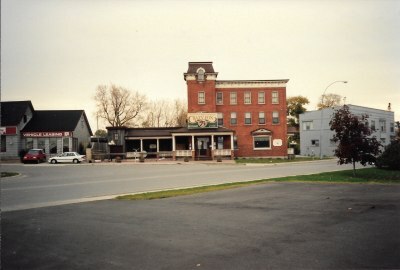 The former men’s boarding house became the Crazy Fox restaurant. 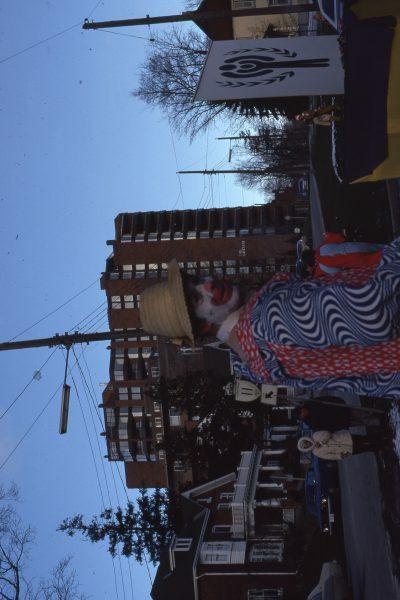 Land registry map showing Duckworth Street, Steel Street, Rodney Street, Melrose Avenue and surrounding areas. Allandale Land Registry Map Showing Burton Avenue, Cumberland Street and Surrounding Areas. 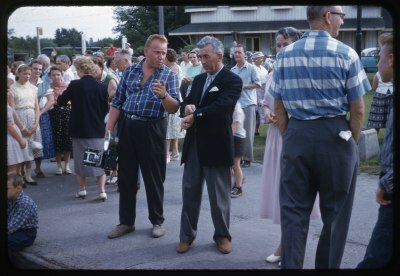 Allandale Land Registry Map Showing Armstrong Boulevard, Lansing Road, Concession 13 (Little Avenue) and Surrounding.Areas. Land registry map showing Baldwin Lane, William Street, Holgate Street, Reid Street, Frank Street and Mildred Street and surrounding areas. Land registry map showing Baldwin Lane, Baldwin Street, Holgate Street, William Street, Archie Street and surrounding areas. 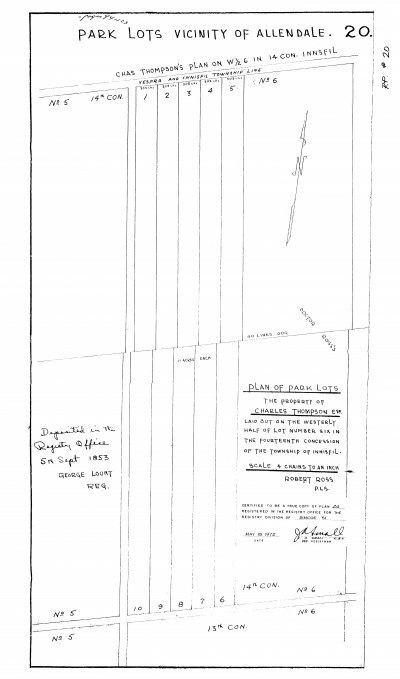 Land registry map showing Baldwin Lane, Brooks Street, Holgate Street, Knox Street, Reid Street and surrounding areas. 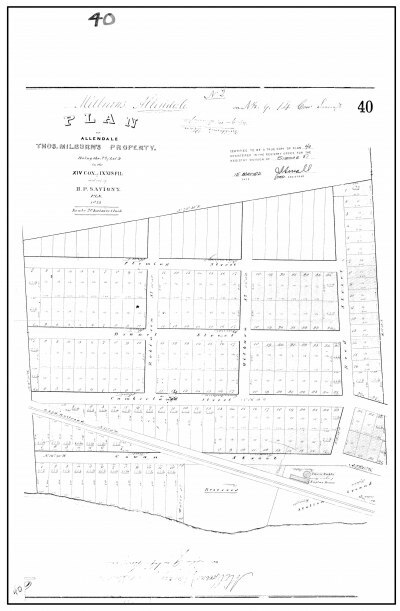 Land registry map showing Baldwin Lane, Meadow Street, Murray Street and surrounding areas. 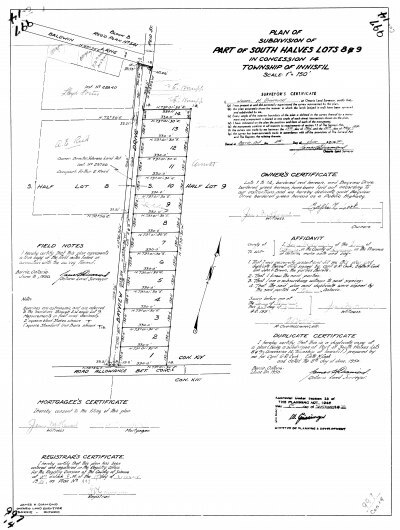 Land registry map showing Bayview Drive, Baldwin Lane and surrounding areas. 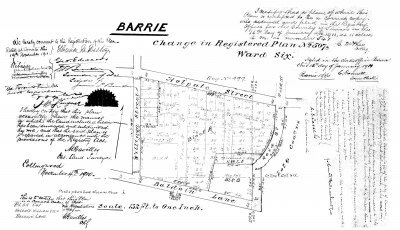 Land registry map showing Baldwin Lane, Baldwin Street, Murray Street and surrounding areas. 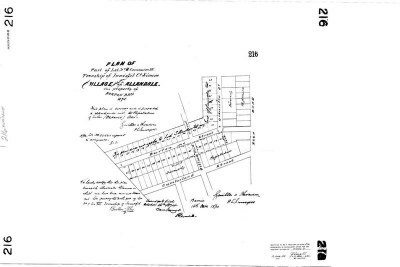 Land registry map showing Adelaide Street, Baldwin Street, Baldwin Lane, and surrounding areas. Land registry map showing Holgate Street, Baldwin Lane and surrounding areas. Land registry map showing St. Vincent Street, Shannon Avenue and surrounding areas. Land registry map showing Strabane Avenue, Rodney Street, Napier Street and surrounding areas. 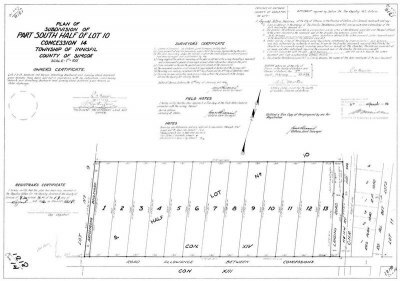 Land Registry Map Showing Planned Subdivision of Lot 11 at Concession 14 and Surrounding Areas. 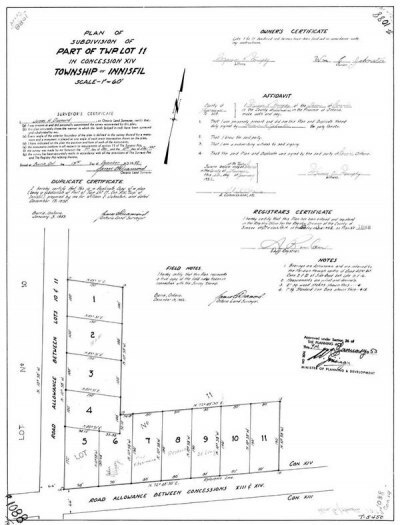 Land Registry Map Showing Plan of Subdivision of Township Lot 11 at Concession 14 (Little Avenue) and Surrounding Areas. 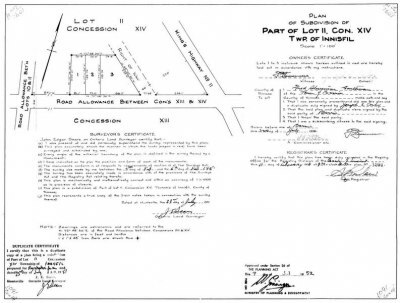 Land registry map showing Lots between the 13th and 14th Concessions of Innisfil. Land registry map showing Gowan Street, Cumberland Street and surrounding areas. 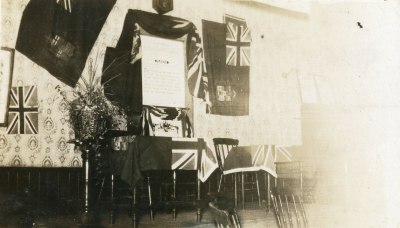 Interior of the Orange Lodge on Burton Avenue. 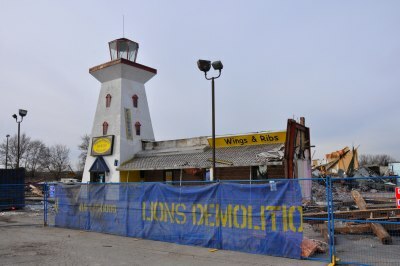 Demolition continues at the former Sticky Fingers Restaurant, Curling Club and Raceway (1). 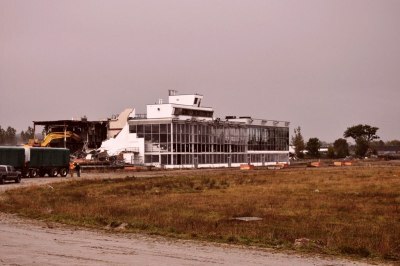 Demolition continues at the former Sticky Fingers Restaurant, Curling Club and Raceway (2). 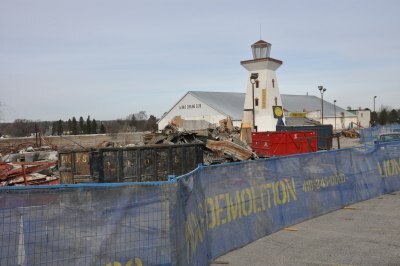 Barrie Raceway on the site of the Barrie Fairgrounds site is demolished. 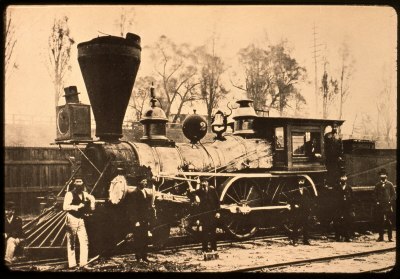 Railroaders pose with Lady Elgin engine parked in the Allandale rail yard. 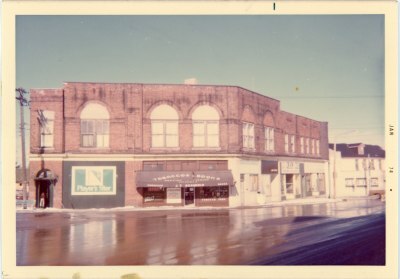 Looking at the Bogardis Building on Essa Road where it intersects with Tiffin Street. 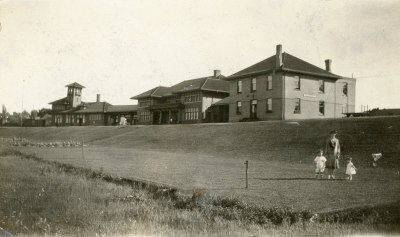 Looking North West towards the Allandale Train Station. 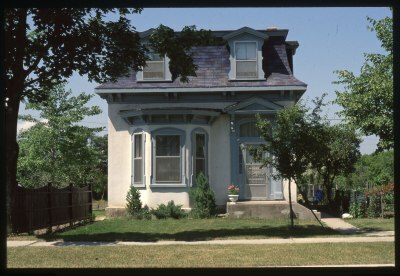 Residence at 127 Cumberland Street. 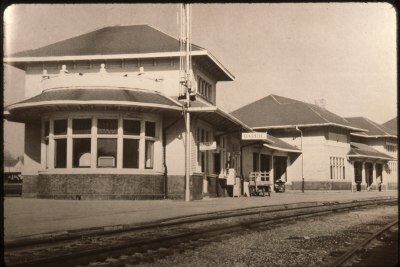 Looking West towards the Allandale Train Station. 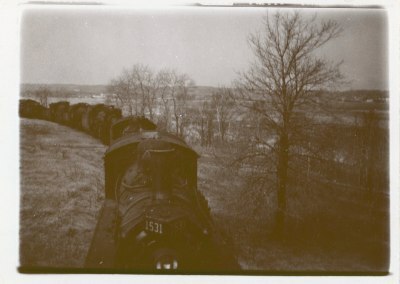 Locomotives, including 1531 are lined up in the Allandale rail yard in preparation to be scrapped. 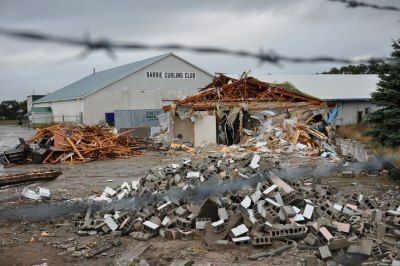 Demolition continues on the Raceway, Curling Club and adjoining buildings on Essa Road (2). 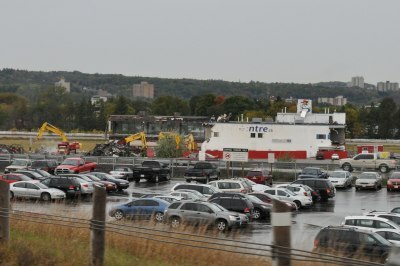 Demolition continues on the Raceway, Curling Club and adjoining buildings on Essa Road (1). 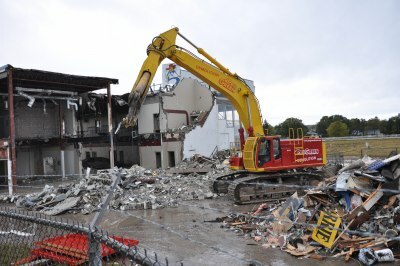 Demolition begins on the Raceway on Essa Road. 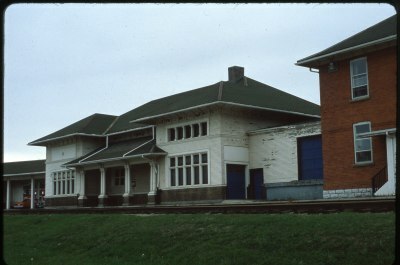 Looking towards the Engineers office building at the Allandale Train Station prior to its renovation. 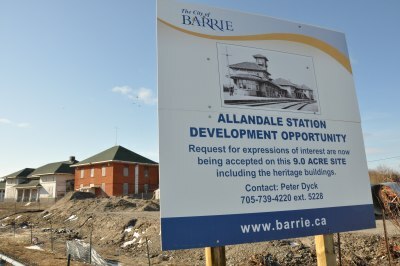 City of Barrie sign stating development purpose of the Allandale Train Station and site. 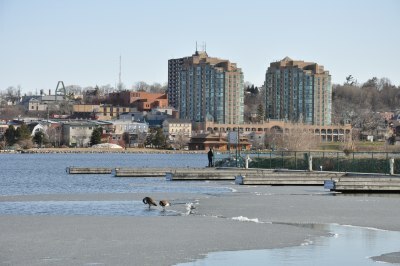 A view of the last remaining ice on Kempenfelt Bay at the marina, looking towards Heritage Park and Dunlop Street. 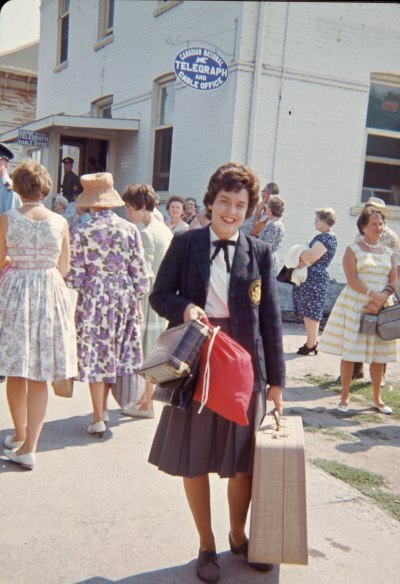 Linda Stephenson of the Barrie Collegiate Band prepares to depart at the Allandale Train Station. 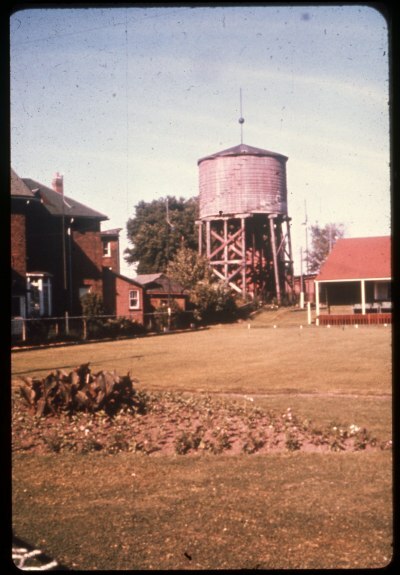 Looking at the CNR water tower from Essa Road through the Barrie Lawn Bowling Club property. 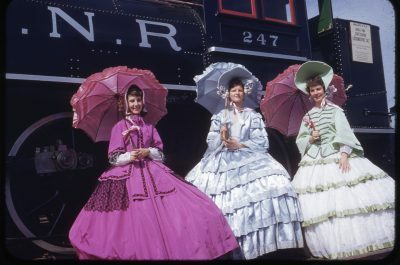 Women dressed in 19th century clothing pose with an antique locomotive in the Allandale rail yard as part of Barrie’s Centennial. 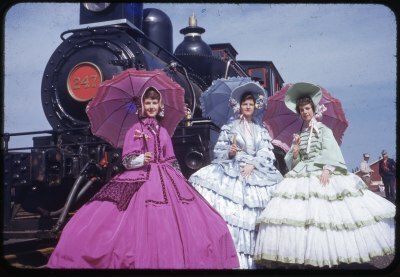 Joan and Sylvia Fisher pose with their friend Dianne in front of a CNR locomotive on display during Barrie’s centennial celebration. 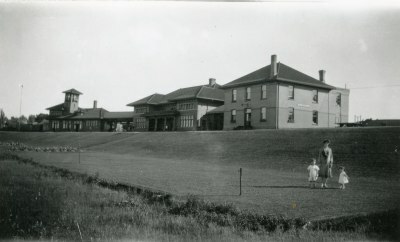 Helen Galbraith with Douglas and Mildred on the front lawn outside the Allandale Train Station. 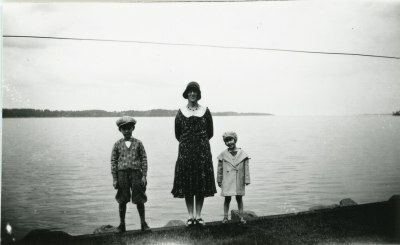 Carman Galbraith with Douglas and Mildred on the Allandale Wharf (Tiffin Dock). 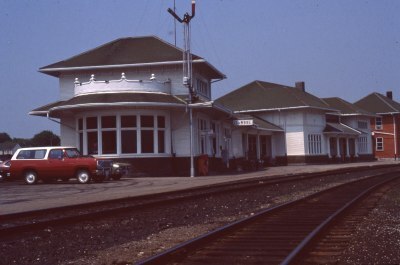 The Allandale Train Station can be seen in the background. 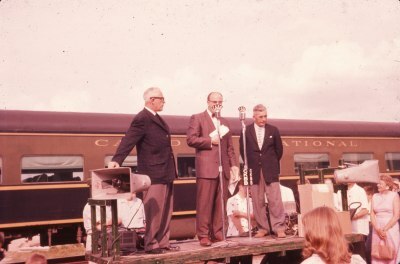 Helen Galbraith with Douglas and Wildred on the lawn in front of the Allandale Train Station. 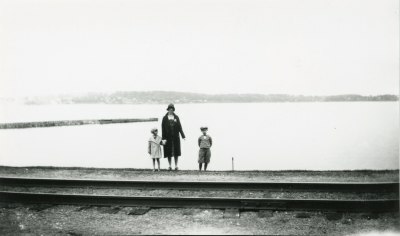 Helen Galbraith with Douglas and Mildred outside of the Allandale Train Station, looking towards Kempenfelt Bay. 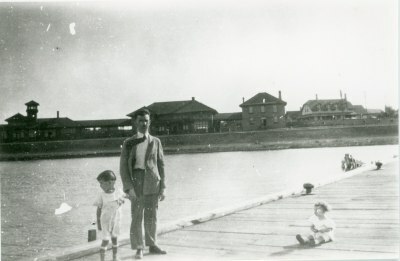 Helen Galbraith with Douglas and Mildred pose behind the tracks outside of the Allandale Train Station. 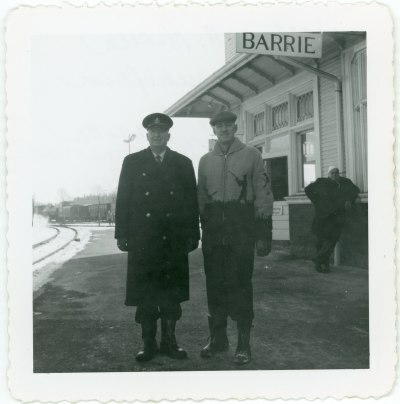 William H. Brown poses with Ed Tshurrhart (left) of the Barrie Police ouside of the Allandale Train Station.